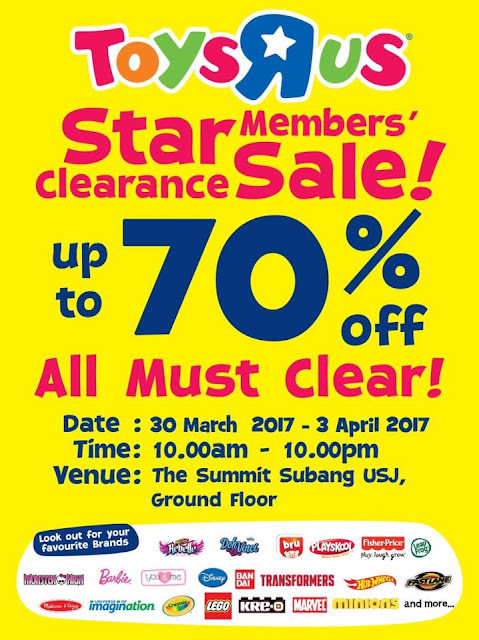 Star Members' Clearance Sale is back! Come to The Summit Subang USJ, Ground Floor on 30 March - 3 April 2017 from 10.00 a.m. until 10.00 p.m. Be fast to grab the best deal ever, see you there! 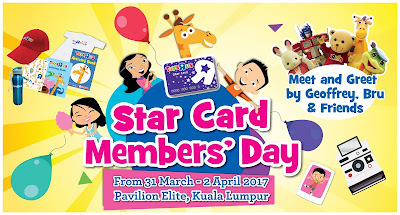 What's on for kids on weekend? Let's come to Tosy"R"Us Pavilion Elite for awesome activities and special offers on 31 March until 2 April 2017 (3 days only)!